An eternally feminine, glorious and spectacular piece of craftsmanship that enhances the beauty of the wearer. 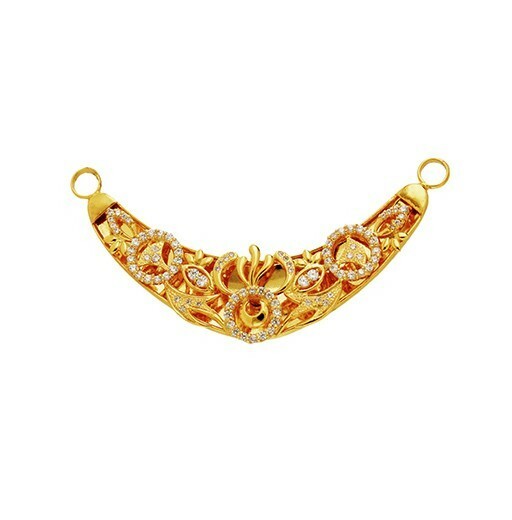 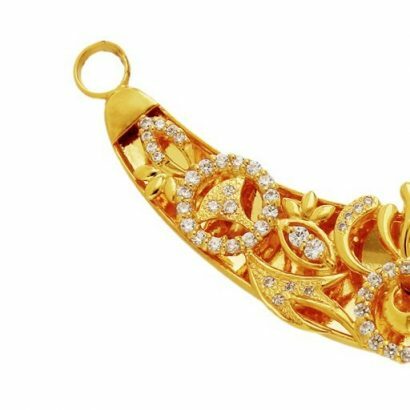 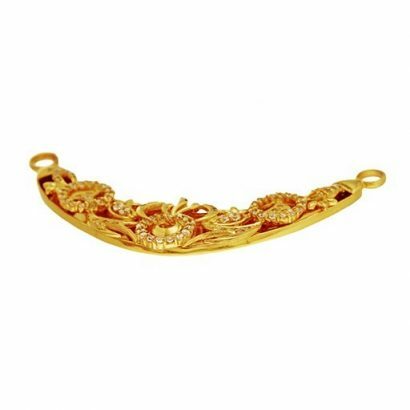 A 22 karat golden savadi styled in the design of a floral vine motif embellished with sparkling stones that shimmer and shine. An elegant and fashionable jewellery piece.